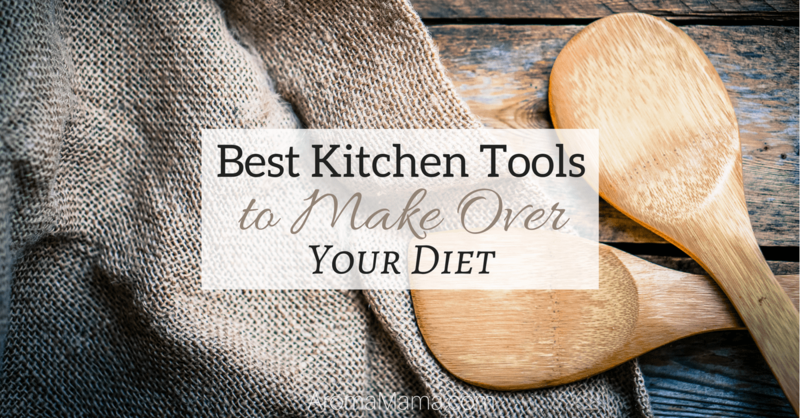 Are you looking for kitchen tools to make over your diet? Here, you’ll find my favorites to get your kitchen set up for making healthy food. When I first got into eating a healthier diet, I realized that I needed a kitchen makeover as well. I wanted to find kitchen tools that would last me a long time and that were truly healthier alternatives. It took a lot of my time to research brands and products. I needed so many kitchen tools for cooking and baking healthier that my kitchen tools makeover started with gifting myself with some pans, baking dishes, measuring spoons and cups at Christmas. Then, over the year, I started by switching out all the plastic mixing bowls, storage containers, and cups to glass or stainless steel options. Then, I replaced my Teflon pans, baking sheets, and pie dishes for ceramic, stainless steel, glass, or Pampered Chef stoneware. I did a lot of research into making my kitchen a healthy chef’s dream so I’m sharing my great finds with you! A high-speed blender makes recipes from scratch so much easier. 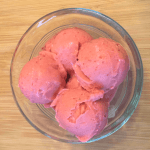 I use my Vitamix all the time for homemade nut milk, smoothies, applesauce, soups, batters, and it’s what I use for my Paleo Strawberry Sorbet recipe. I got rid of my microwave as part of my healthier eating kitchen makeover. I bought a Cuisinart toaster oven like this one. It works great for warming up food, toasting, and even cooking, broiling, and baking smaller recipes. This is the most used device in my kitchen! I have an Instant Pot 8 Qt which I bought last year for Christmas. 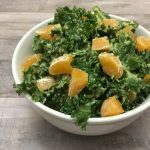 It’s been so helpful to add my recipe to the Instant Pot, set it, and be able to continue working around the house while dinner is cooking. My favorite use for my Instant Pot is making chicken bone broth in 30 minutes! Even though I have an Instant Pot, I still use my Crock-Pot a lot. I like my Crock-Pot for longer cuts of meat like a leg or shoulder of a pig that fits into the oblong shape. Crock-Pots are my first choice when I want to start dinner in the morning and let it cook all day so it’s ready whenever I want to eat later that evening. They are a very affordable kitchen tool as well. I have a set of Pyrex glass mixing bowls like this set. It works great for mixing up recipes and the convenient lids are excellent for putting food in the fridge or storing leftovers. It’s good for the healthier home chef to have glass measuring cups in 1 cup, 2 cup, 4 cup, and 8 cup sizes. I’m so happy with my Pyrex glass measuring cups like these. I have a set like these and I love them! I like that they are magnetic so they nest together in the drawer. But even better, there is a narrow side and a rounded side to choose from. I use the narrow side for getting spices from narrow spice jars. These work out great when I need to use a teaspoon more than once. I don’t have to worry about cross-contaminating. I started making my own coconut, cashew, and almond milk when I switched to a healthier diet. It literally takes minutes to whip up a batch of homemade nut milk. To make a batch of nut milk, all I use is a high-speed blender like my Vitamix, an 8 cup Pyrex, and a nut milk bag. I love my Kitchenaid Stand Mixer for mixing my healthy baked goods recipes. I used to use stainless steel frying pans when I started my healthy eating journey, but it took me a long time to clean them. I like to use ceramic coated frying pans now because they are easier to wash. This is the exact pan I use and I love it for cooking many things especially steaks. It cooks more evenly than any other pan I’ve tried. I did my research on cast iron and I only trust Lodge brand cast iron products. They are made in the USA too. 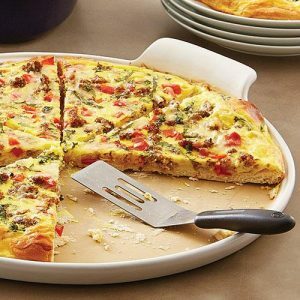 Here are some of my favorite Pampered Chef products that would please any home chef. True story, I became a Pampered Chef consultant just to help me with my kitchen tool makeover. I worked hard for eight months to have shows which allowed me to get my Pampered Chef products for free! I stopped selling Pampered Chef once my kitchen was stocked with a variety of kitchen tools. My friend, Jaime, sells Pampered Chef if you’d like to shop from her website. When I’m cooking, baking, or cleaning in my kitchen, I’m usually using a few Pampered Chef products at any given time. I have too many favorites to list so here are just a few that I use all the time. This large stone can be used for so many baking projects. I originally bought mine to make pizza, but now I also use it for baking and my Gluten-Free/ Paleo Dutch Baby Pancake recipe. 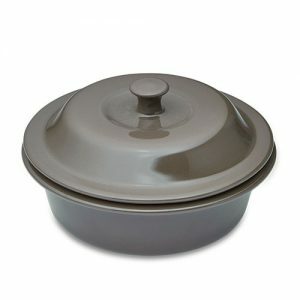 I use this round covered baker for a lot of my baking projects. 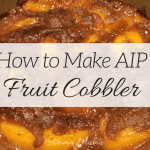 This baker fits in my toaster oven and it’s what I use to make my AIP Fruit Cobbler recipe. This toaster oven pan gets used throughout the day to warm up food in the toaster oven. I have two of them that stay on the counter for daily use. 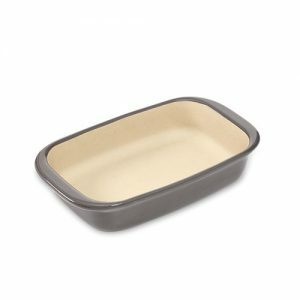 This small baker is used frequently as well because it fits in the toaster oven. 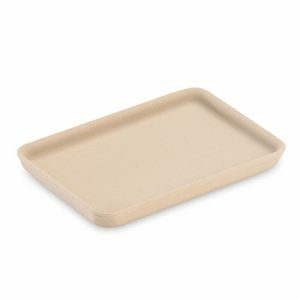 I have three of these that I use for warming up food that needs a higher wall like a casserole or pasta. 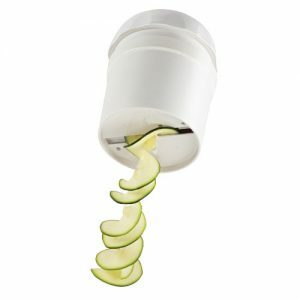 The Spiral and Slice is so easy to use and doesn’t require electricity which is nice! It’s so easy to get spiraled zucchini and thinly sliced olives or mushrooms. I’ll let you in on a secret…it’s fun to use too when the spirals start to come out! 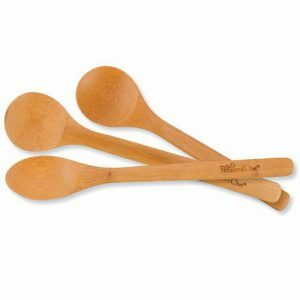 Every healthy home chef needs a set of bamboo spoons for cooking. I’ve tried different bamboo spoon brands and Pampered Chef is my favorite due to more eye appeal and durability. 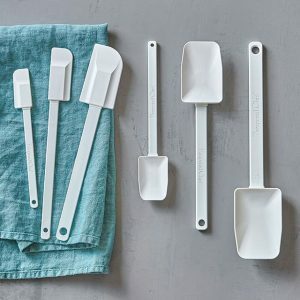 These silicone scrapers should be a staple item in any kitchen. They are so practical with how well they can scrape a bowl until every last bit of mix or dough is out. I really like that they can hold to such high heat and are easy to clean. I even use these for my all natural DIY recipes like A Recipe for Natural Deodorant That Works. The Baker’s Roller is the only rolling pin that I’ve ever liked. I work with alternative flours that are harder to work with and the baker’s roller works the dough so nicely without the dough sticking. 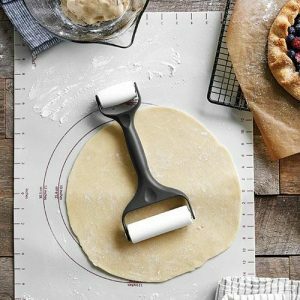 The Pastry Mat compliments the Baker’s Roller since it is a silicone mat which prevents the doughs from sticking to the surface. You can see them in action in this post on how to make AIP Christmas Cut-Out Cookies. Here are some membership options for eating healthier. 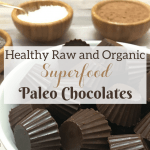 Paleo by Maileo has so many food subscription boxes for any diet. 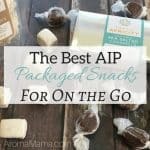 I can’t wait to try the AIP box! 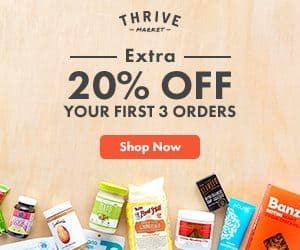 Thrive Market is a membership site for better prices on healthy ingredients that either can’t be found at a traditional grocery store or are a lot more expensive at a local supermarket. Get 20% off your first three orders with this link. This is where I like to buy many of my ingredients like tigernut flour and coconut oil buttery flavor that I use for this recipe. 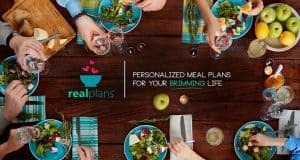 Real Plans is a meal planning membership and can accommodate any diet. The program is so impressive and easy to use! I love the shopping list and recipes that I access from the Real Plans phone app. I am meal planning now with the help of Real Plans and never have to worry about what’s for dinner! 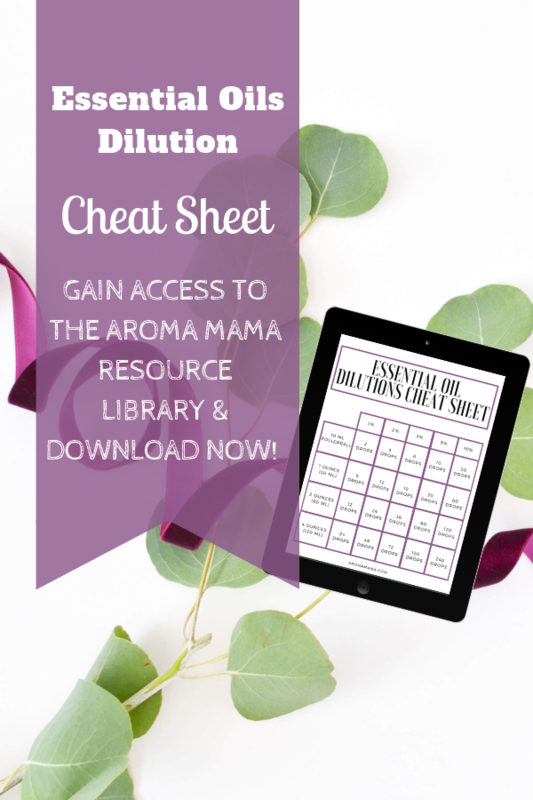 I hope these resources have helped to set you up with ideas for kitchen tools to make over your diet! It took me a year to get my kitchen transformed into a healthy eater’s haven. I encourage you to work on getting the right kitchen tools over time since it can be overwhelming and expensive to do it all at once. Please share this post so that more people can be aware of how kitchen tools can make a difference in trying to eat healthier. I’ve heard good things about the Instant Pot. Sounds like it is the thing to have right now!